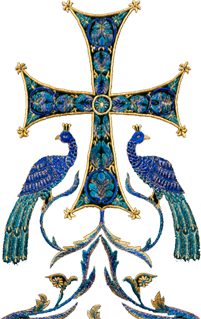 Parishes and individuals are advised that St. Innocent Press is currently offering Orthodox wall calendars for sale. 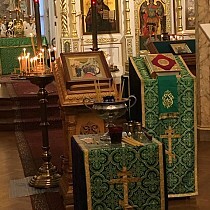 The 12-page calendars include fasting information, saints commemorated (Julian Calendar), and Scripture readings for every day of the year. Calendars can be ordered in any of three language combinations: all English text, English & Russian text, or English & Serbian text. Discounts are available for orders of 20 or more. 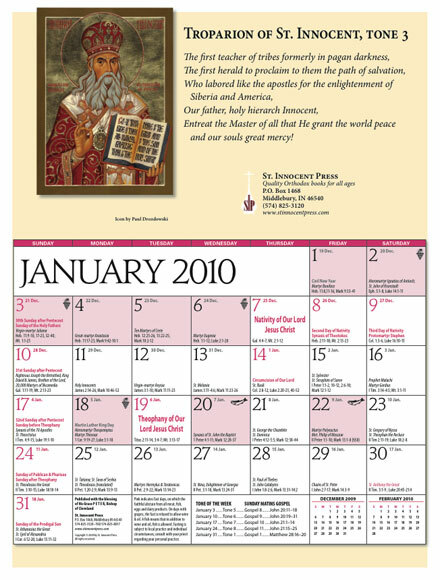 Parishes can also order customized calendars with parish information and a personalized backer. For more information, visit the St. Innocent Press website here.